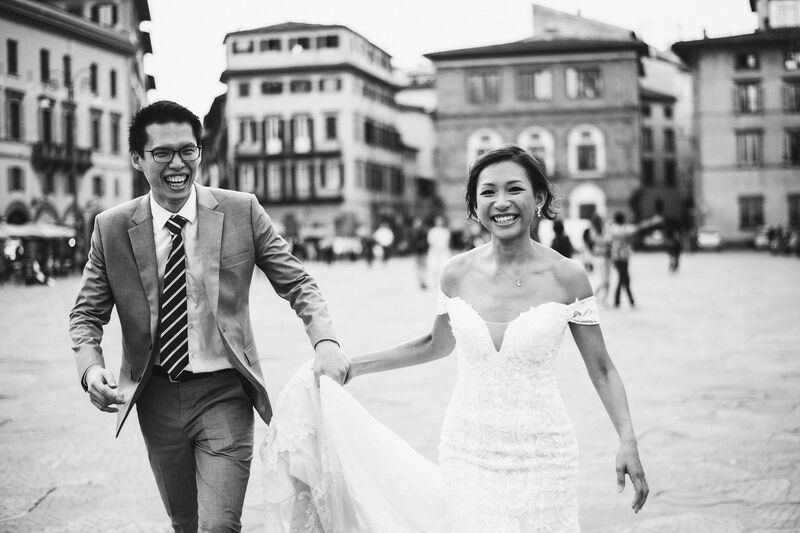 The wedding day is a milestone in a couple’s life together – it’s when your childhood wishes come true but you’re surely aware that it’s also going to be a hectic event. 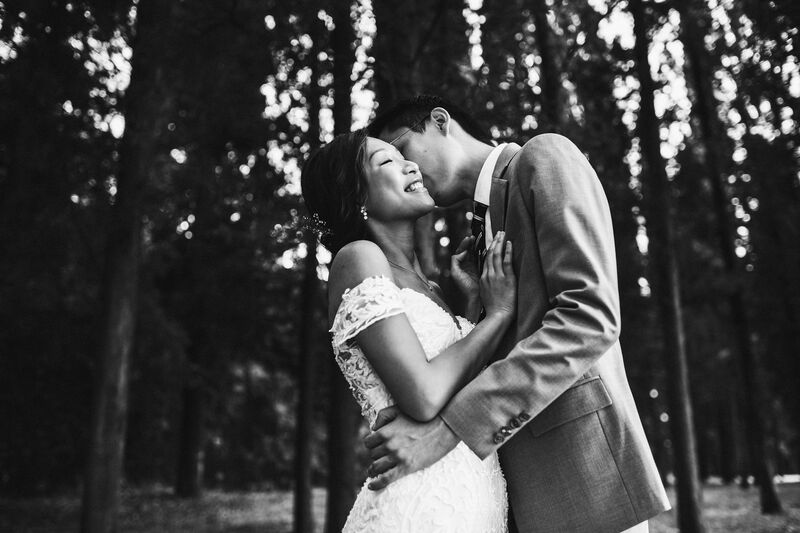 Of course you’re going to have a photo shoot taken during that special event, but what about shooting the most romantic photos as a pre wedding treat? 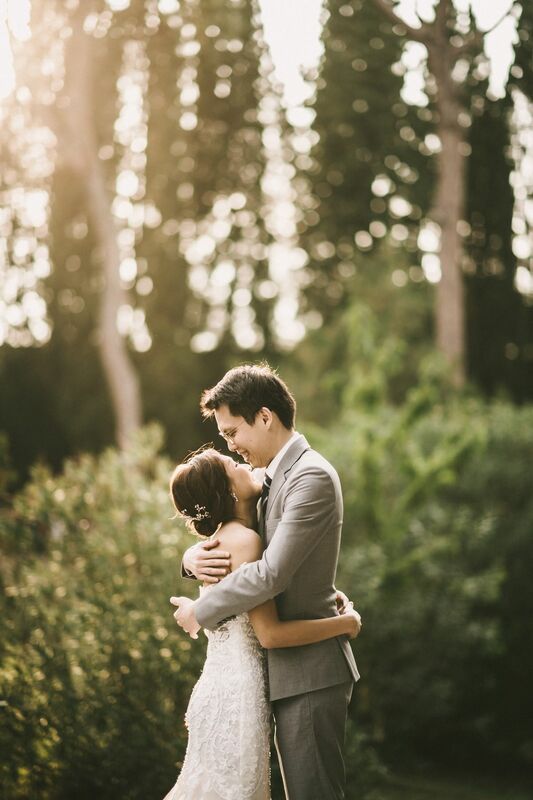 Pre wedding photography is all about this: savoring the depth of your love and showing it to the world. 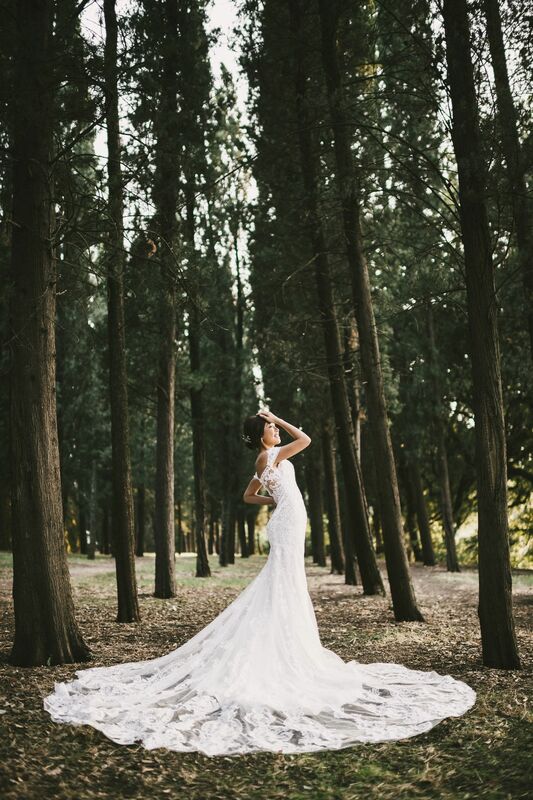 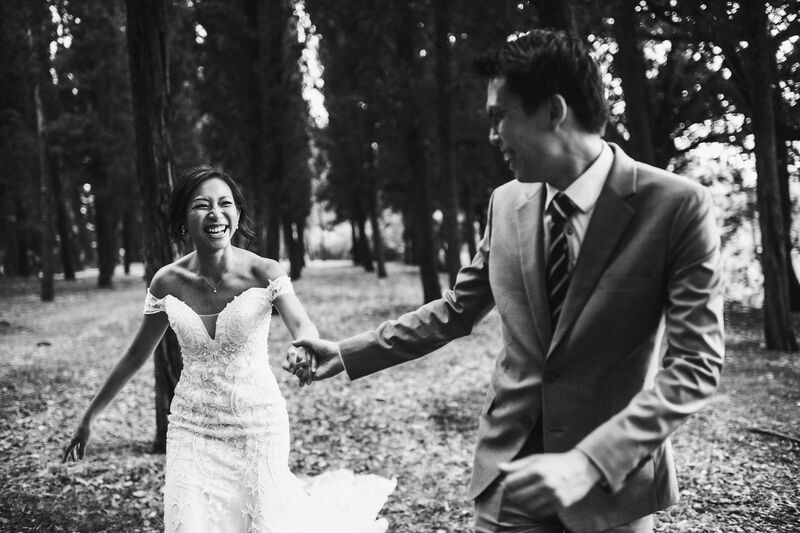 You will be allowed to wear (and actually enjoy) your beautiful wedding gown and suit before the big day. 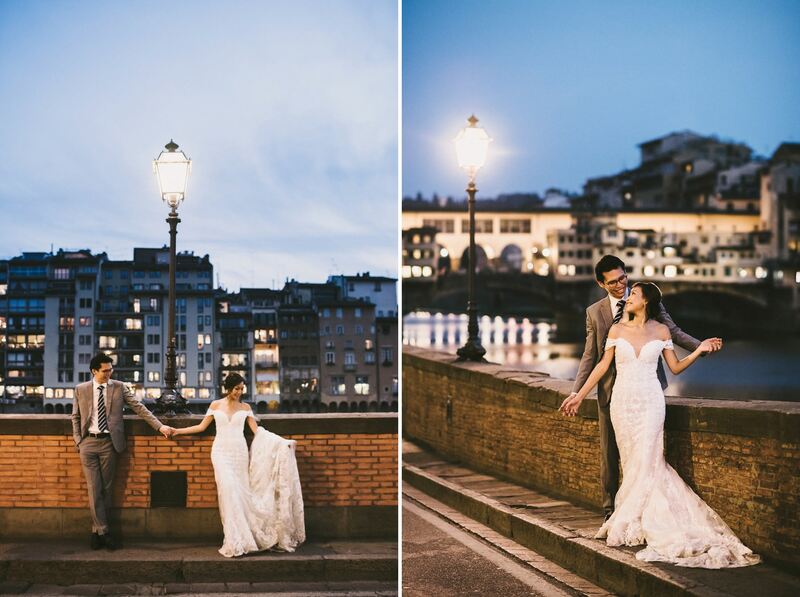 You can pick your favorite location, not necessarily where you live – romantic photos have no geographical boundaries! 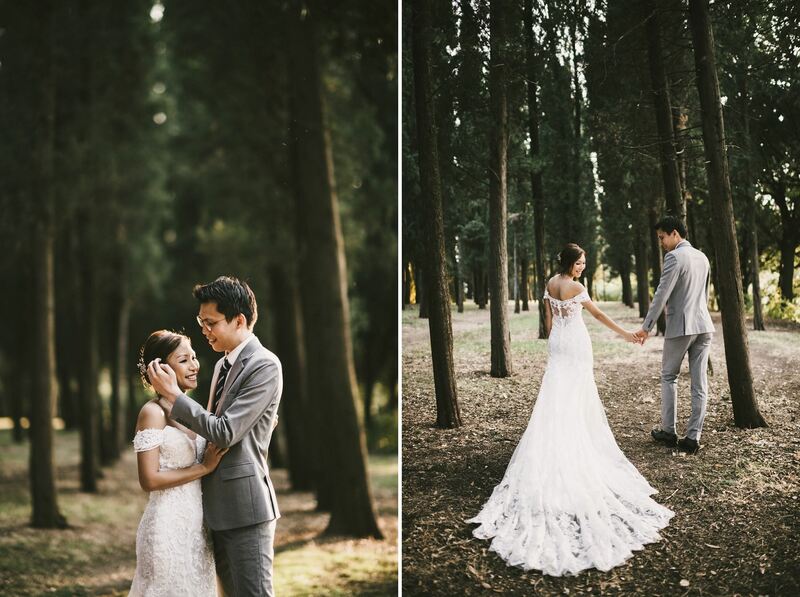 You will be able to really show your personality through the pictures, because the shooting will be all about you. 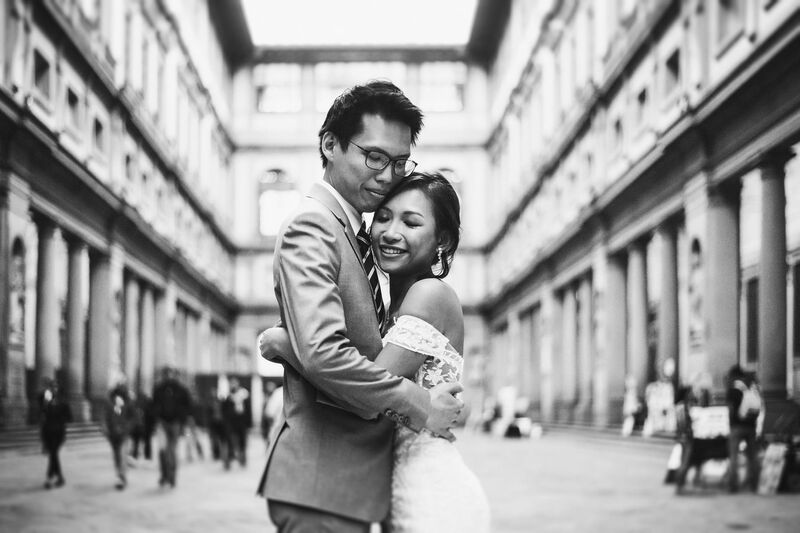 Pre wedding photography can also be a great way to emotionally connect with your wedding photographer, in case it’s going to be the same person. 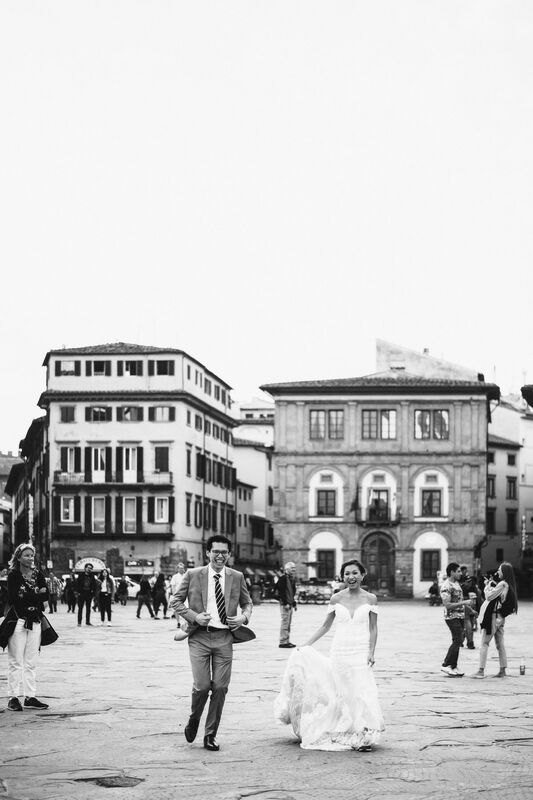 But most of all: it’s an opportunity to simply appreciate the feeling that binds you, in a day that is completely dedicated to that. 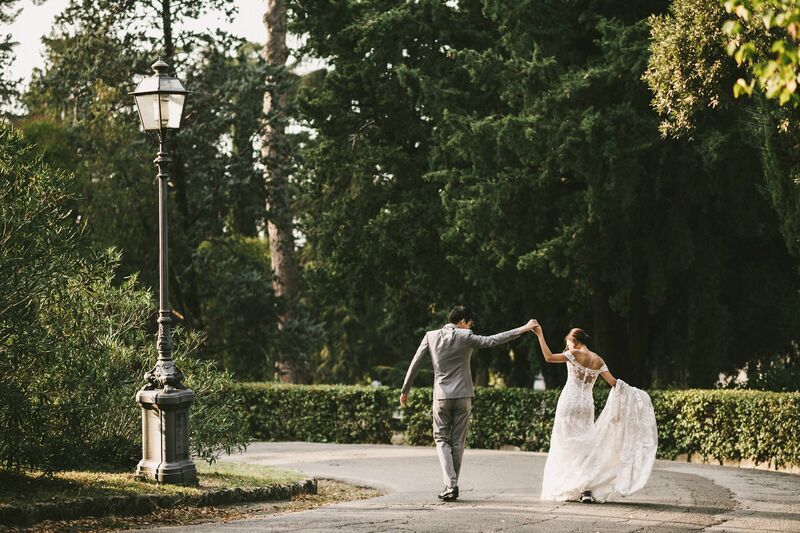 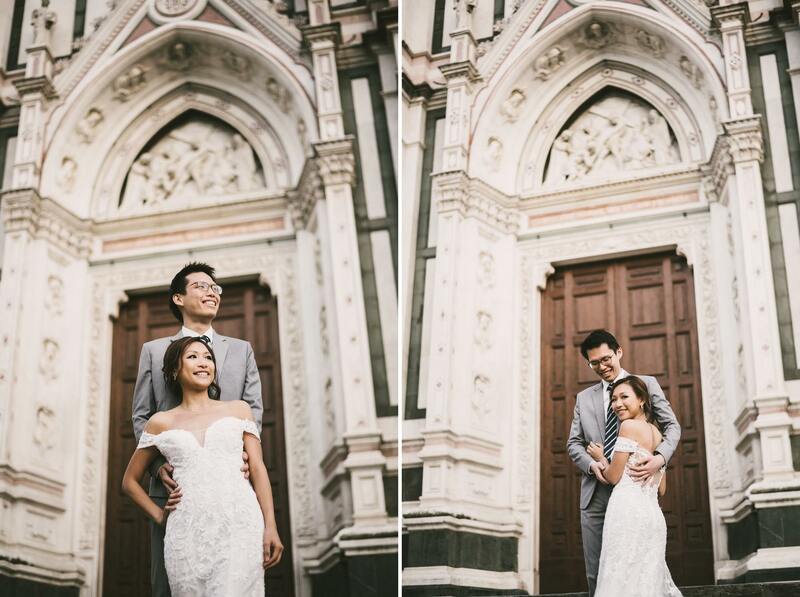 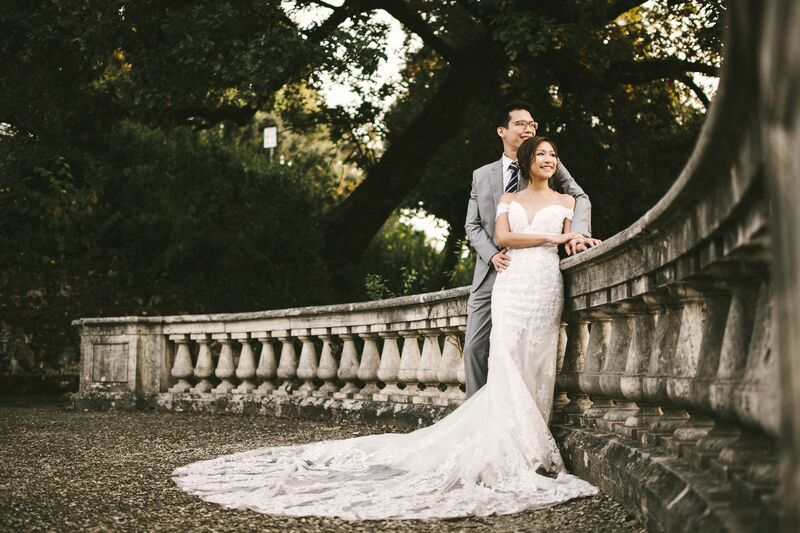 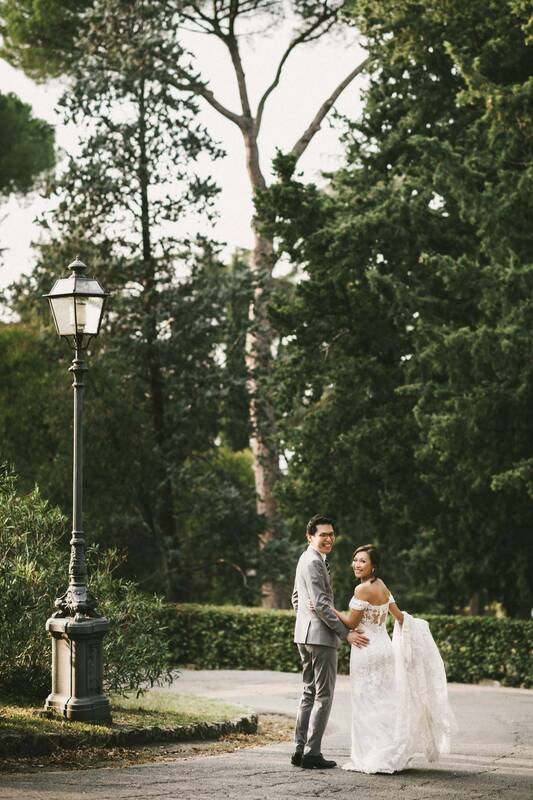 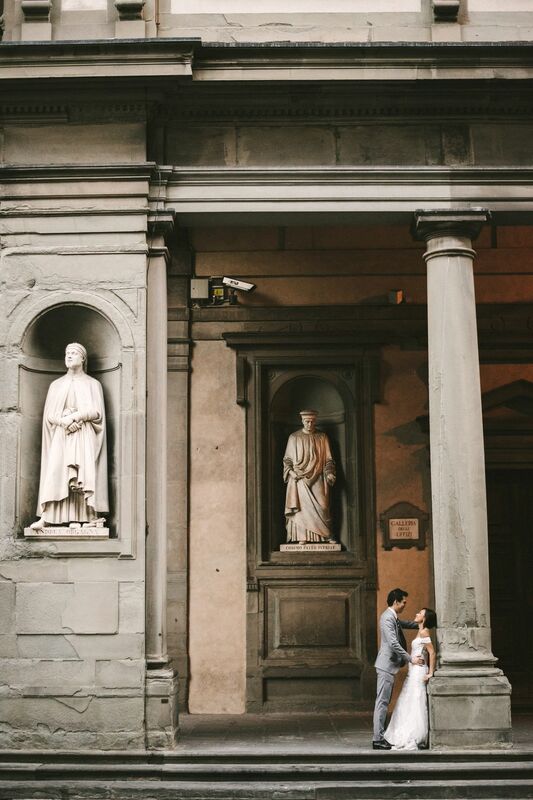 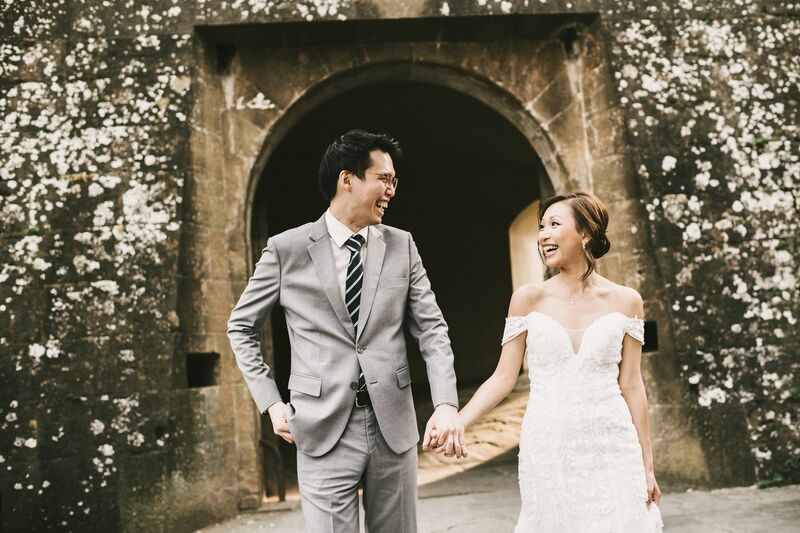 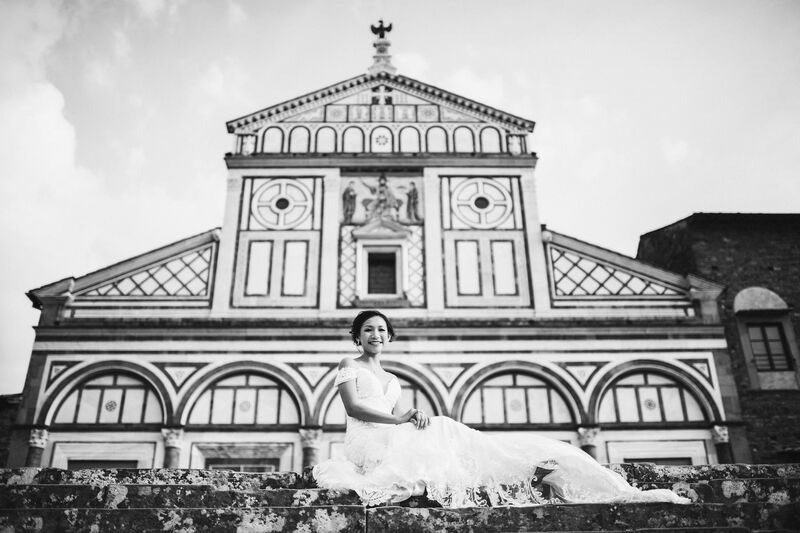 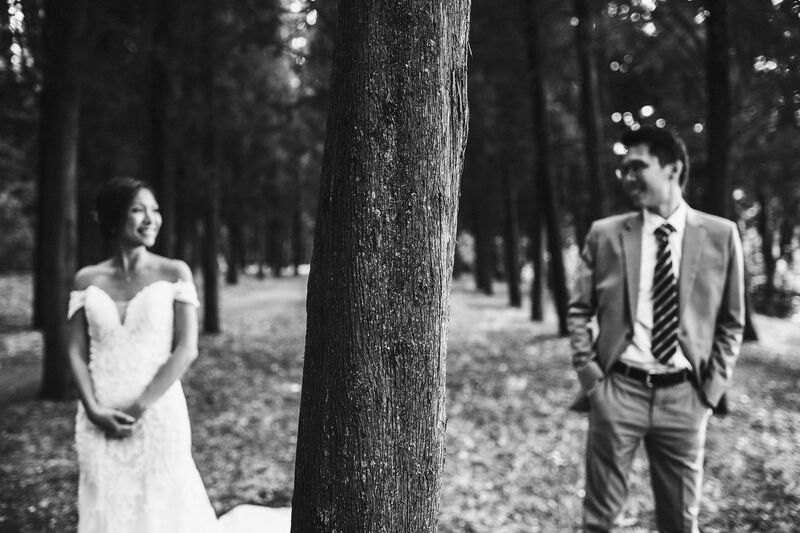 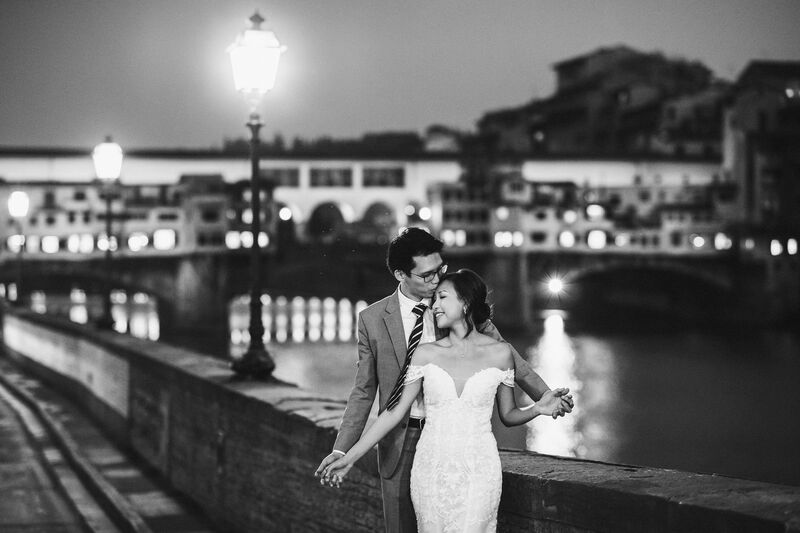 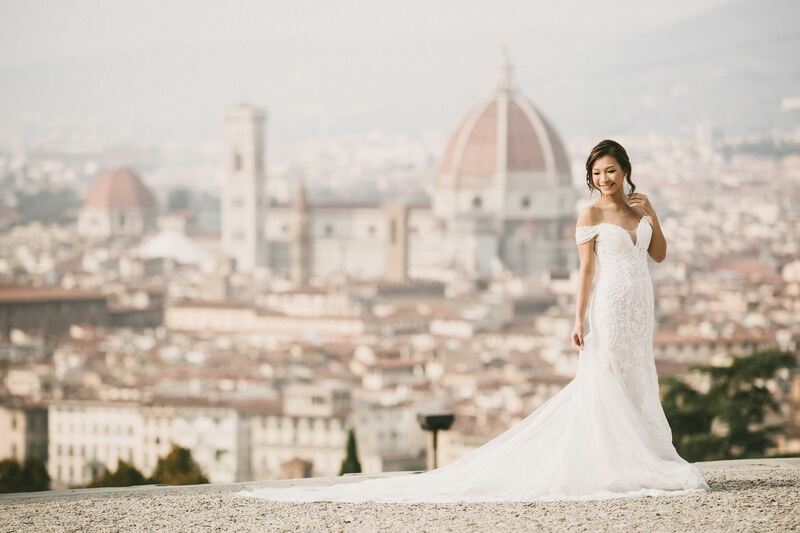 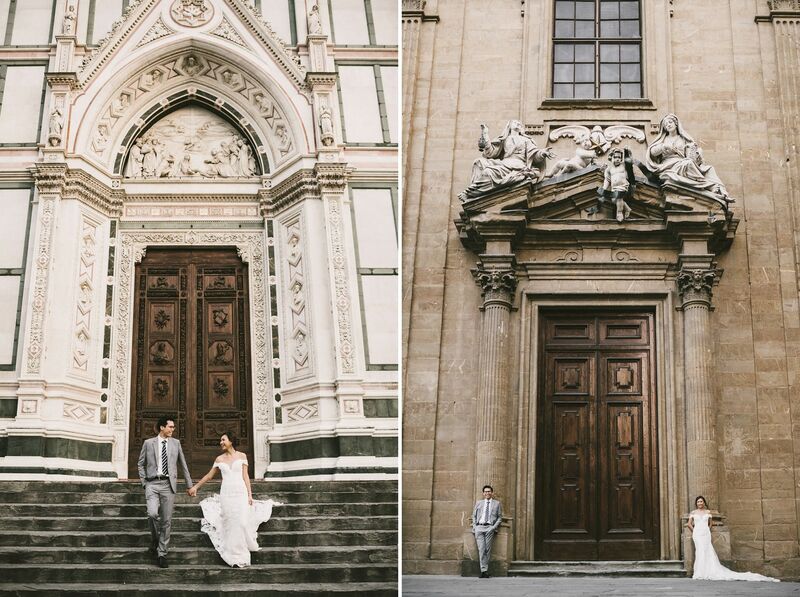 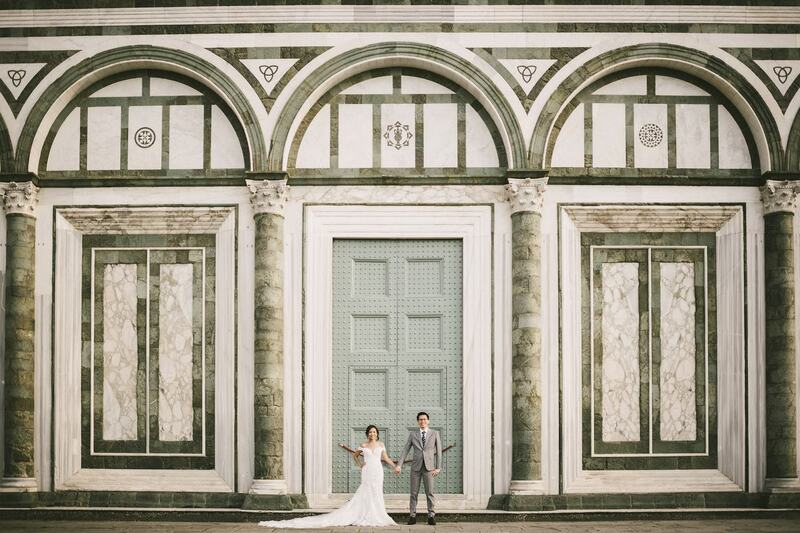 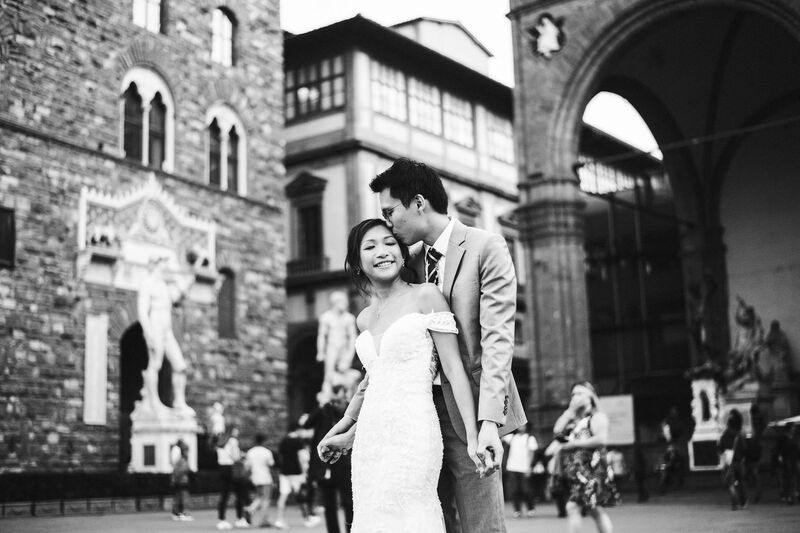 Claire and Ming are a fun and lovely couple from Singapore, in love with the timeless atmosphere of Florence. 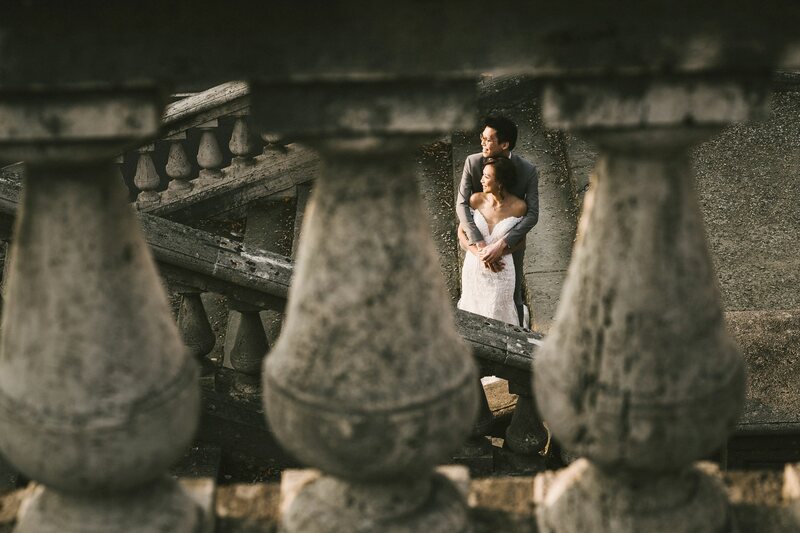 That’s the reason why they decided to shoot their pre wedding photographs with its architecture as a charming background. 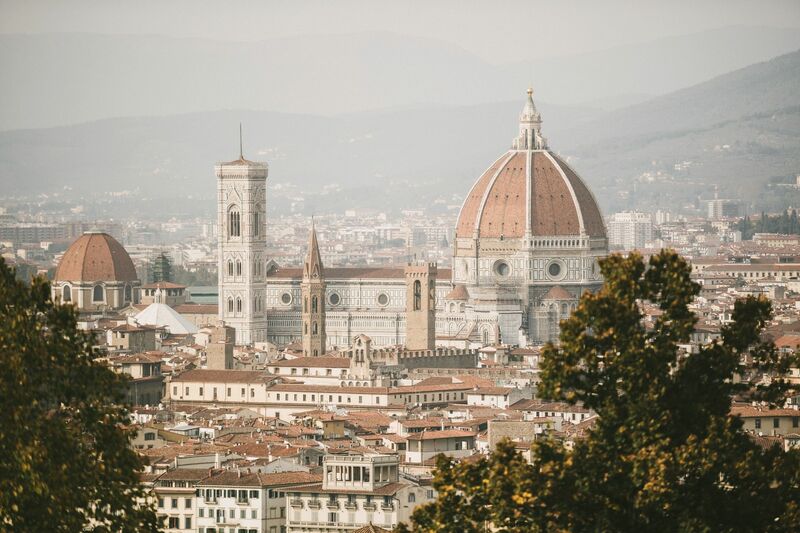 We had a beautiful 3-hours walk around the historic city center, following the Panoramic Love Route – and going even beyond. 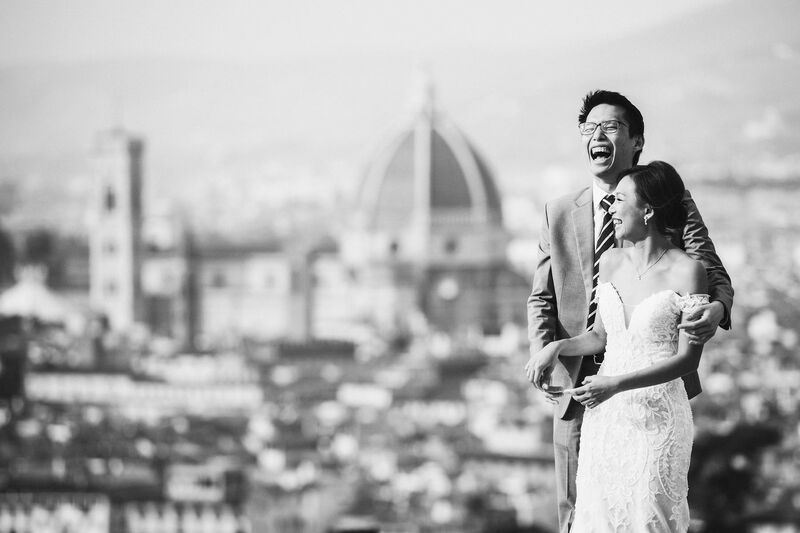 They could appreciate the breathtaking view of Florence from Piazzale Michelangelo, one of the best viewpoints in town, then we moved to the heart of it. 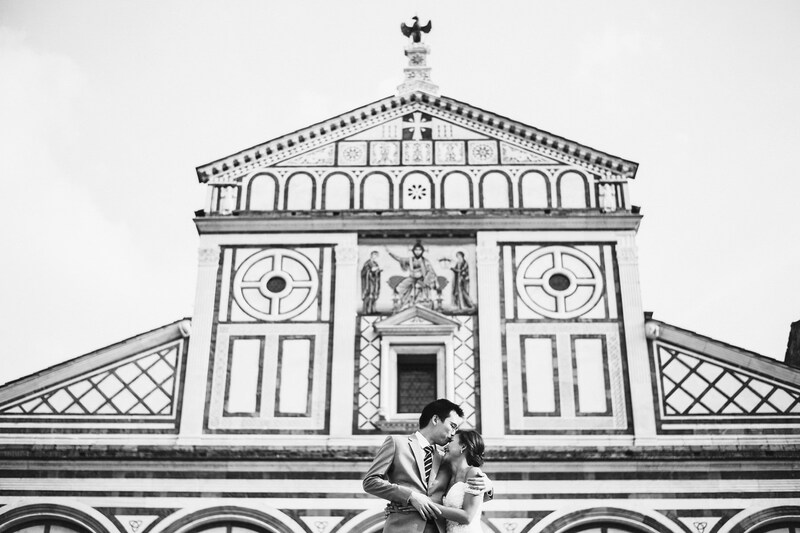 There, all their love gestures were embraced and enhanced by the surrounding shapes and spaces. 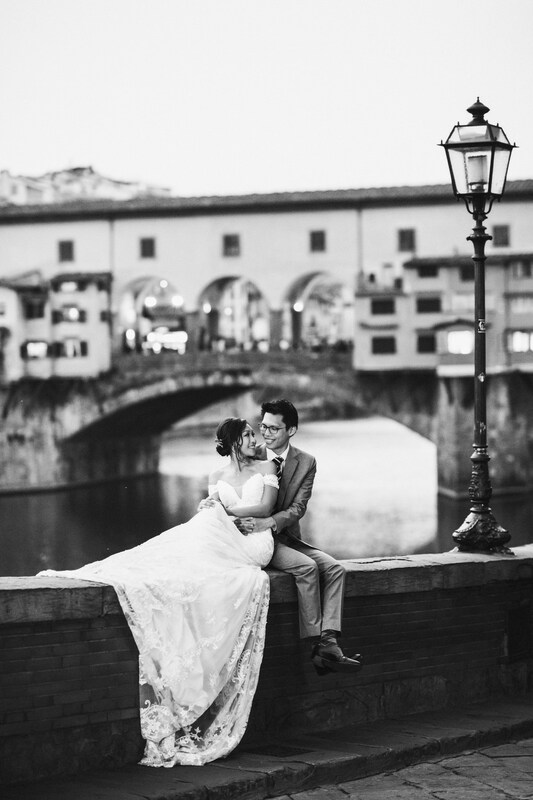 We ended up at Ponte Vecchio, probably the most celebrated spot for romantic photos in Florence. 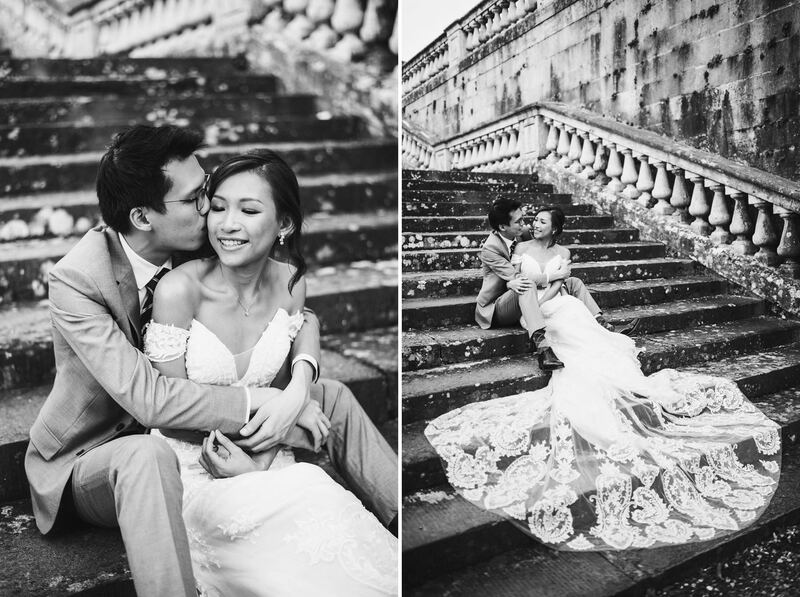 The result was a sweet and amusing photo shoot, that perfectly enshrines Claire and Ming’s personalities. 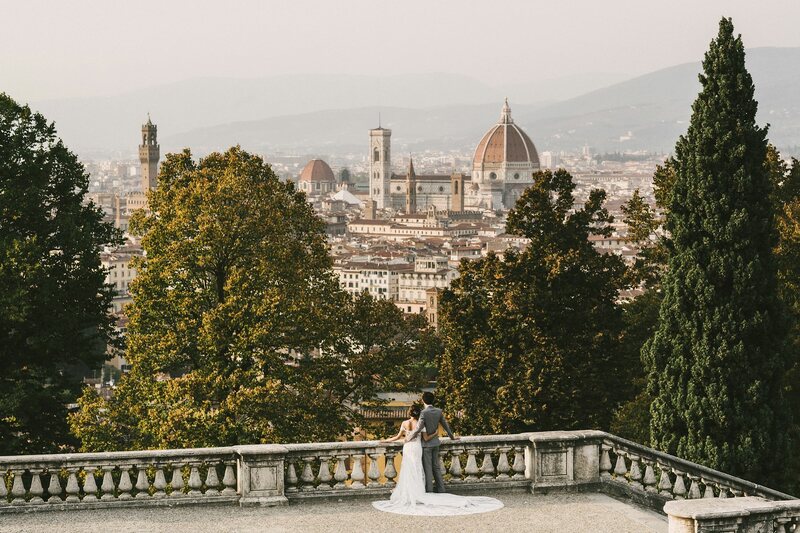 If you wish to celebrate your wedding in advance with romantic photos just as they did, don’t hesitate to contact me: Florence and I are waiting for you! 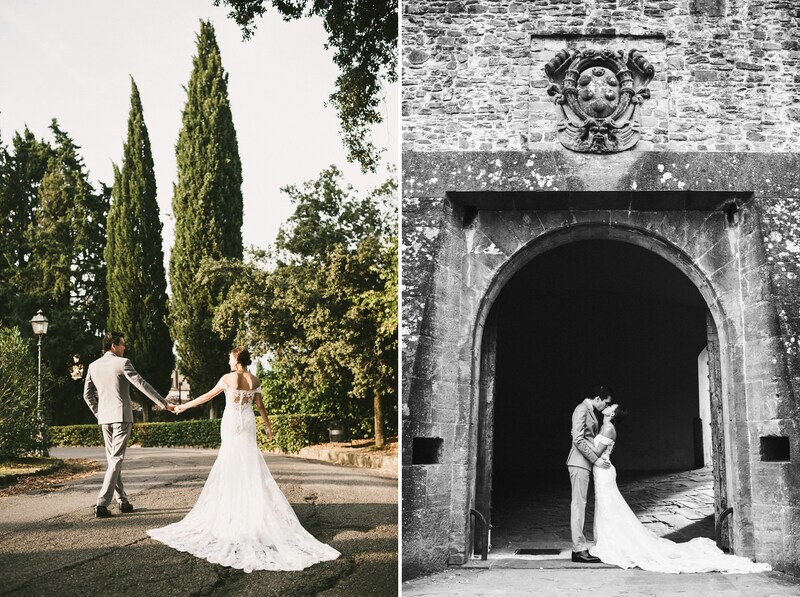 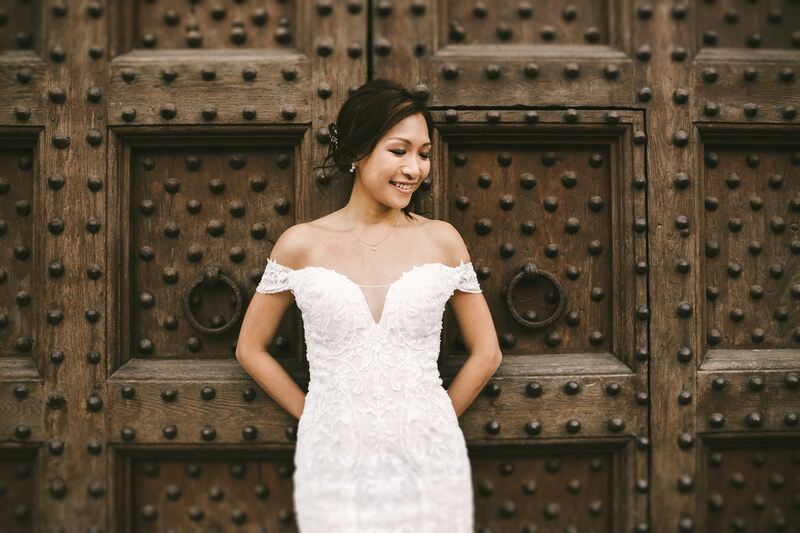 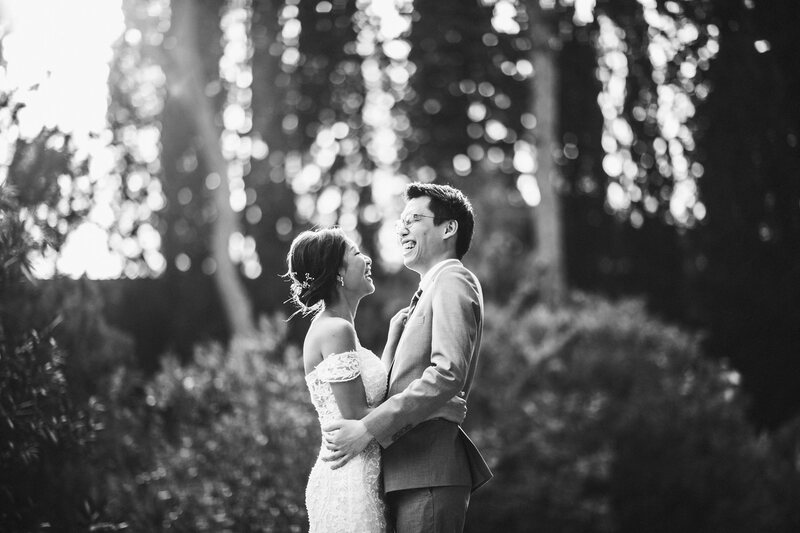 Elegant wedding in Tuscany: embrace the unexpected!